So I headed out with some of my peeps yesterday to the #kleinkaroo, also called the GROOT VOËL paradys ,aka Oudtshoorn, for a long cycle back to George. Having an injury I volunteered to be the “Bakkie Bokkie”, which is the back up vehicle on their cycle, but little did they know that my roadtripping skills are phenomenal, or maybe they do… I think the smile on my face gave it away. A second and bigger boom started after the war. It was during this period that “feather barons”, ostrich farmers who had become rich, built most of Oudtshoorn’s famously opulent “feather palaces”, their houses, most of them on the west bank of the Grobbelaars River. Ostrich feathers were outranked only by gold, diamonds and wool among South African exports before World War I. The market collapsed in 1914, according to The Chicago Tribune, as a result of “the start of World War I, overproduction and the popularity of open-topped cars, which made ostrich-feather hats impractical.” 80% of the ostrich farmers were bankrupted, and the ostriches were set loose or slaughtered for biltong. 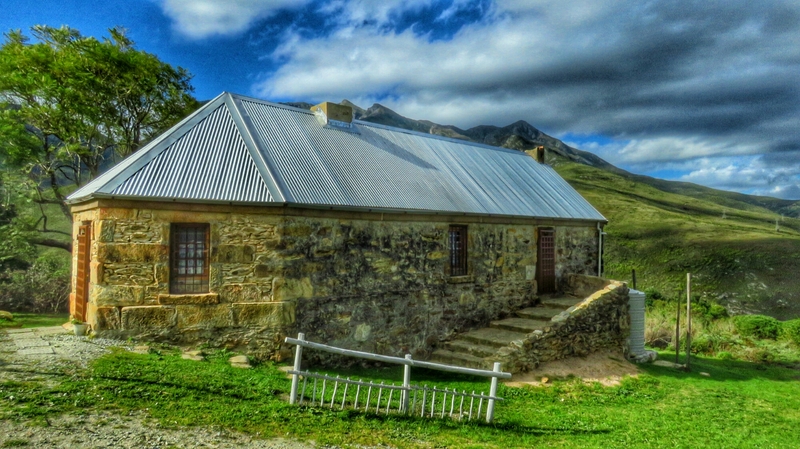 Followed by the historic passes through the Outeniqua hills and if you stand still and listen, you can perhaps catch the clanging of steel tools on rocks. Blood, sweat and tears seeped into the ground of these forgotten dust tracks. Camera in hand I try and capture a few moments in time, place myself in the footsteps of ghost and wonder what it must have been like back then.